Desk.com is a leading support desk tool offered by Salesforce. This powerful tool automatically integrates with Salesforce, and offers functionality that can make it easier to stay organized-and, in turn, better assist your customers. Desk.com is the preferred solution for small businesses seeking Salesforce software capabilities. In this course, join Christine Pereira as she explores how to use Desk.com to manage customer service workflows. Christine helps you get started by explaining how to navigate Desk.com. She also reviews the metrics and data that are available in this tool. 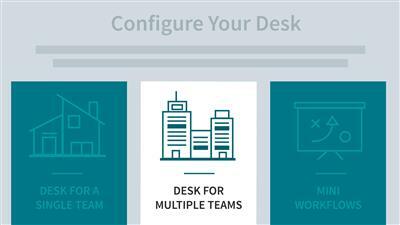 In addition, she demonstrates how to set up your help desk, use labels to sort cases, leverage automation for greater efficiency, and customize the look and feel of Desk.com to match your brand. To wrap up, she discusses how to measure your success with data and business insights, and shares best practices for customer support.